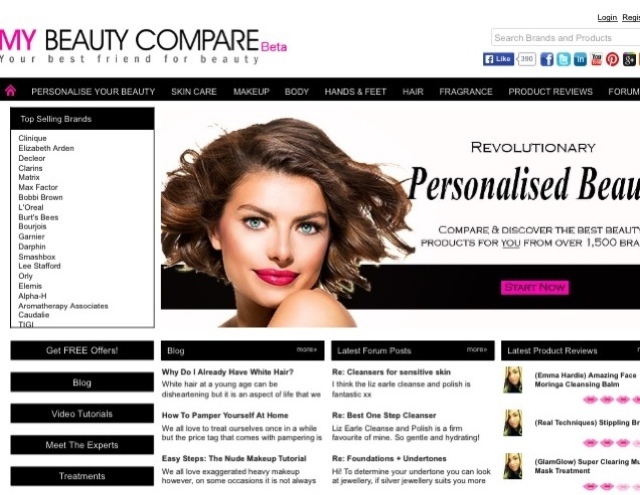 My Beauty Compare is basically the beauty version of go compare. Comparing all sorts of beauty related products from haircare, skin care, fragrance, and of course make up. My Beauty Compare delivers you reviews from its members ( which could be you if you join), on every type of product known to man. This is like reading a blog which contains over 150'000 products, giving you the chance to pick and choose items you know that will suit your skin thus saving you time and money in the process. Don't worry though this wont make beauty blogs obsolete, it doesn't contain swatches or in depth reviews like a blog would do but is another source for you to refer to when looking for new products to try. 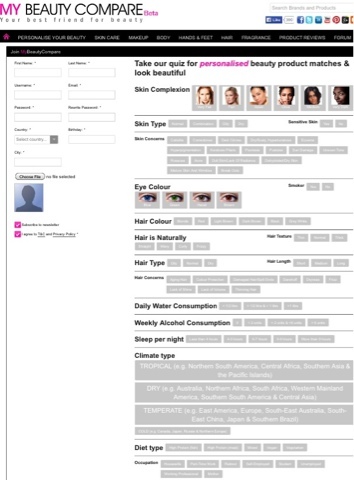 The site then takes it a step further and lets you fill in your unique profile, determining your skin type, concerns, hair type, lifestyle and then recommends products accordingly. With this information it recommends make up, skincare and haircare products for you that you may not have thought about trying in the past. You can also then go and purchase the products recommended from the site, making it a on stop shop for all your beauty needs. 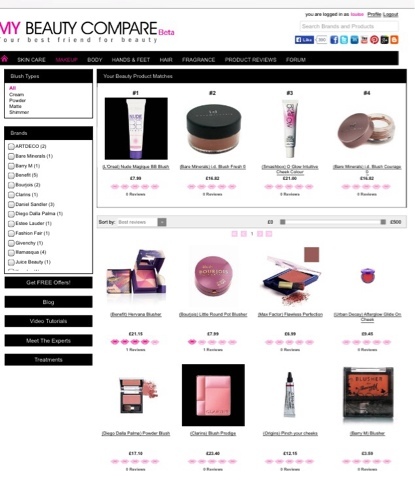 Its really a great site and one I think will become very popular with make up and beauty addicts a like. You can read their full press release HERE. *In association with My Beauty Compare. No monetary reward was received for this post.